jetzt mit Drones & Samples! Sub Pop Loser Edition enthält kristallklares Vinyl! Eine der besten Bands der Welt erfindet sich komplett neu: ich schnall ab! Rhythmisches Dröhnen, Samples, Verfremdungen, funky Basslines...es ist nicht allzuviel übrig von den wunderschönen "Slowcore"-Nummern, für die LOW bekannt und beliebt sind. Hier können sich die wundervollen Stimmen von Mimi Parker und Alan Sparhawk kaum gegen den Lärm durchsetzen..ich bin wirklich baff. Dringlich und beeindruckend wie eh und je ist die Platte natürlich dennoch: ein Statement zum Zustand der Welt möchte ich meinen. Mein Tipp für den Herbst! In 2018, Low will turn twenty-five. Since 1993, Alan Sparhawk and Mimi Parker_the married couple whose heaven-and-earth harmonies have always held the band's center_have pioneered a subgenre, shrugged off its strictures, recorded a Christmas classic, become a magnetic onstage force, and emerged as one of music's most steadfast and vital vehicles for pulling light from our darkest emotional recesses. But Low will not commemorate its first quarter-century with mawkish nostalgia or safe runs through songbook favorites. 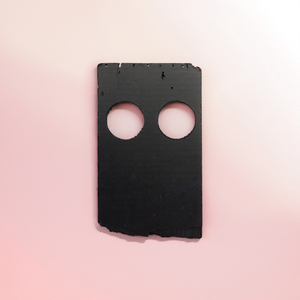 Instead, in faithfully defiant fashion, Low will release its most brazen, abrasive (and, paradoxically, most empowering) album ever: Double Negative, an unflinching eleven-song quest through snarling static and shattering beats that somehow culminates in the brightest pop song of Low's career. To make Double Negative, Low reenlisted B.J. Burton, the quietly energetic and adventurous producer who has made records with James Blake, Sylvan Esso, and The Tallest Man on Earth in recent years while working as one of the go-to figures at Bon Iver's home studio, April Base. Burton recorded Low's last album, 2015's Ones and Sixes, at April Base, adding might to many of its beats and squelch and frisson beneath many of its melodies. This time, though, Sparhawk, Parker, and bassist Steve Garrington knew they wanted to go further with Burton and his palette of sounds, to see what someone who is, as Sparhawk puts it, "a hip-hop guy" could truly do to their music. Rather than obsessively write and rehearse at home in Duluth, Minnesota, they would often head southeast to Eau Claire, Wisconsin, arriving with sketches and ideas that they would work on for days with Burton. Band and producer became collaborative cowriters, building the pieces up and breaking them down and building them again until their purpose and force felt clear. As the world outside seemed to slide deeper into instability, Low repeated this process for the better part of two years, pondering the results during tours and breaks at home. They considered not only how the fragments fit together but also how, in the United States of 2018, they functioned as statements and salves. Double Negative is, indeed, a record perfectly and painfully suited for our time. Loud and contentious and commanding, Low fights for the world by fighting against it. It begins in pure bedlam, with a beat built from a loop of ruptured noise waging war against the paired voices of Sparhawk and Parker the moment they begin to sing during the massive "Quorum." For forty minutes, they indulge the battle, trying to be heard amid the noisy grain, sometimes winning and sometimes being tossed toward oblivion. In spite of the mounting noise, Sparhawk and Parker still sing. Or maybe they sing because of the noise. For Low, has there ever really been a difference?